Frédéric Denis was logically placed among the contenders for the final victory of the Mini Transat Guadeloupe Islands. In view of its results for the year 2015, the seriousness of preparation and experiences of the man, it was hard not to count him among the favorites for this edition. However he had never parted with his great humility, from the first as the second step, knowing all too well the hazards that includes a crossing of the Atlantic on these supercharged boats. 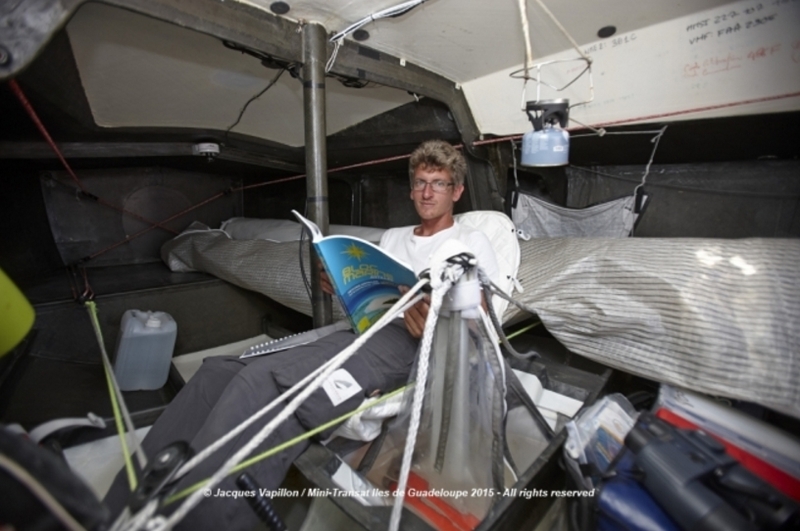 Yet his experience of the boat captain SODEBO trimaran Thomas Coville, culture of the race and win and undoubted experience gave him some arguments to claim the places of honor. Frédéric Denis has also as a secret weapon for this second stage: in collaboration with nke Marine Electronics, he worked on the reliability and responsiveness of its autopilots [new function : the surf mode] knowing that to have this little helper could be a determining advantage. Living at La Trinité sur Mer with his partner, he lacked the sailor of 31 years that the consecration in a major race. Dominating this second stage brilliantly, he joined the wake of exceptional sailors who preceded him in this race as Laurent Bourgnon, Isabelle Autissier or even Lionel Lemonchois. 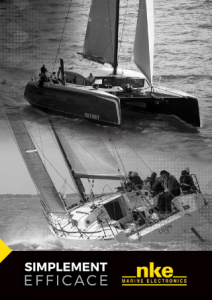 Nautipark is a Lombard design – Schipman with which Gwénolé Gahinet was committed on the Mini Transat 2013 and had to abandon the coast of Portugal while he threatened to lose her keel. It took five months of work to Frederic Denis to repair it.